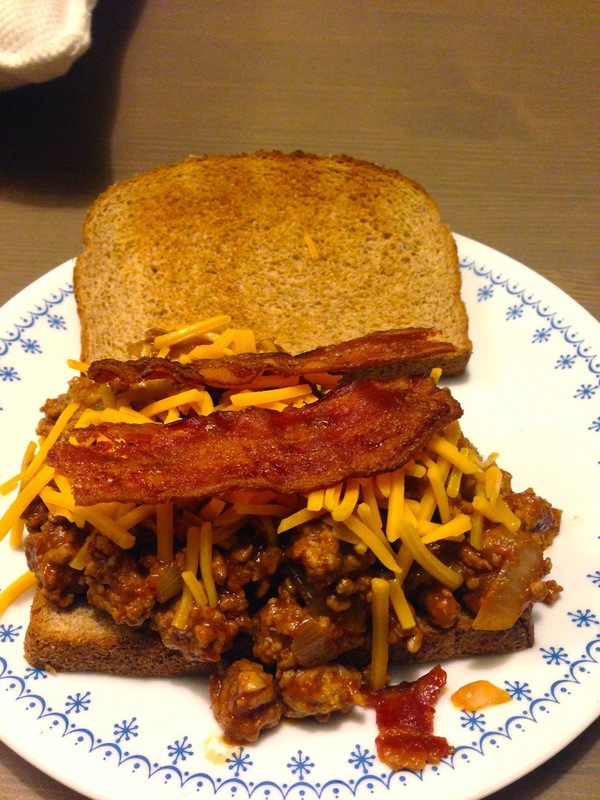 I came upon an easy recipe for sloppy joes a few years ago when looking for quick and easy dinner ideas, this one being mostly beef, ketchup, and chili powder. Simple enough for me. Last fall this simple recipe inspired me. I knew I could add a few more ingredients and have something really special. Aside from hot dogs, I’ve never been much of a fan of meat, and this recipe redo is one that kind of started the ball rolling on my new thing with beef. First, cook your bacon. I like to do it in the oven on a foil-lined baking sheet: 17 minutes at 375 F.
While the bacon is cooking, cook the onions and ground beef in the same pan on medium heat until beef is browned. I like to spoon off most of the fat rather than dirty more dishes by draining in a colander. Make a well in the beef and onion mixture and add the garlic, cooking 30 seconds to 1 minute. Mix together. Add the ketchup and chili powder; mix well. Add 4 slices of the bacon (roughly chopped) and mix again. Use the additional bacon, cheddar cheese, and green onions as toppings. Bon appetit. Then this evening I got an even wilder idea. 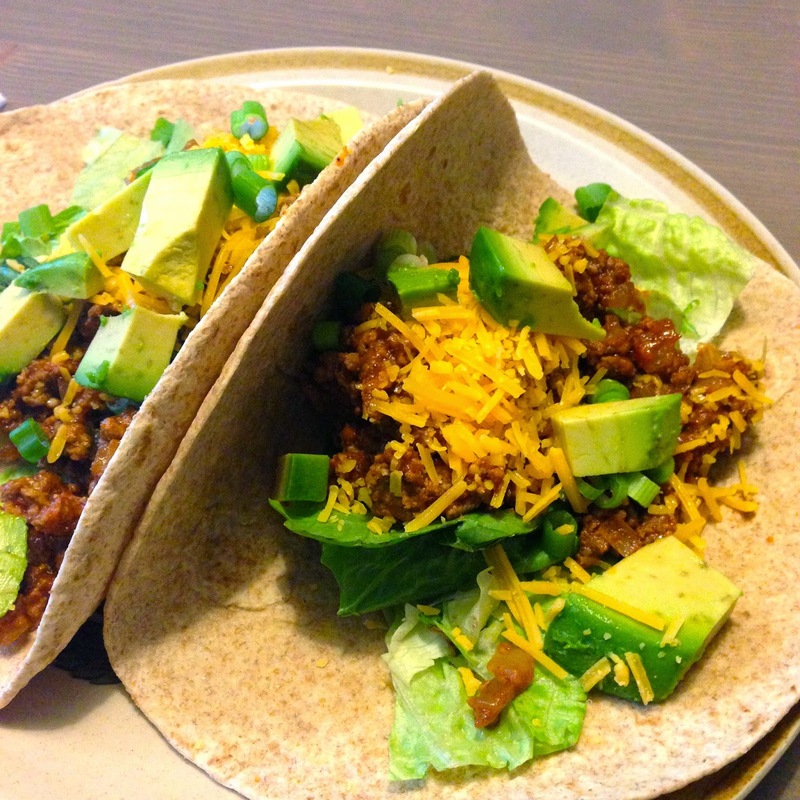 Scratch the bacon (stay with me), swap out a wrap for the buns, and add avocado and romaine lettuce. Amazing! I can’t decide which one I like best, I suppose it depends if you’re in the mood for a heavier or lighter meal.